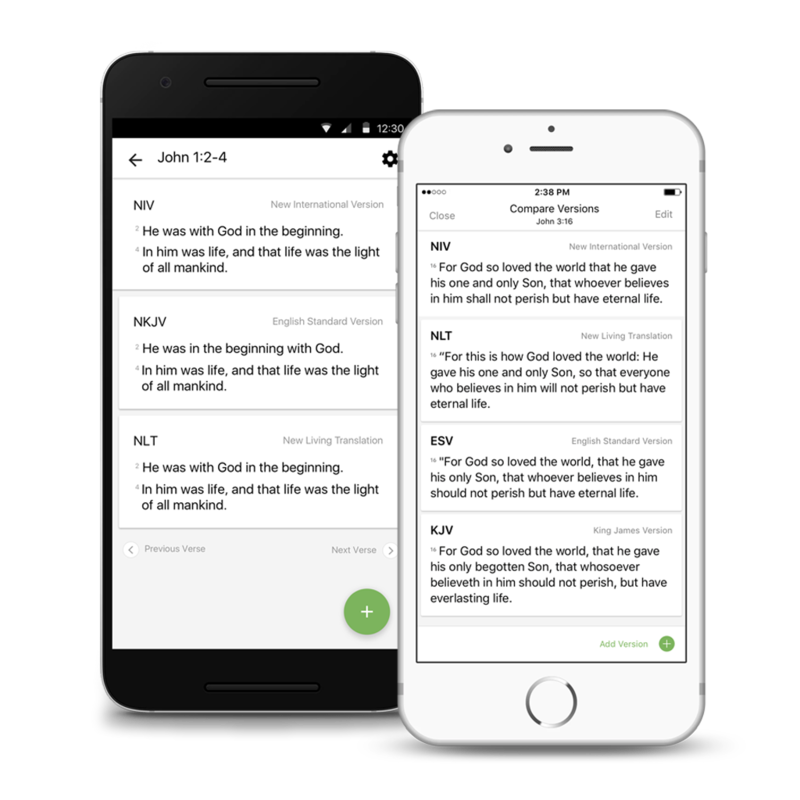 Quickly explore one verse in many versions. See every Bible verse in a new way. What do you do when you have trouble understanding a verse? What about when you read a verse that feels familiar, but it’s worded differently than you remember? How do you dig deeper into a verse… really meditate on it and unlock its treasures? “Compare” lets you easily view a verse in different versions at the same time. Tap any verse, then tap Compare. You’ll see the same verse repeated in all of the Bible versions you’ve used recently — even offline.1 To add more versions to your list, tap the plus button ( ). To remove versions from your list, or to rearrange the order, tap Edit ( on Android). Previous PostPrevious Celebrate with us: Jesus is alive!